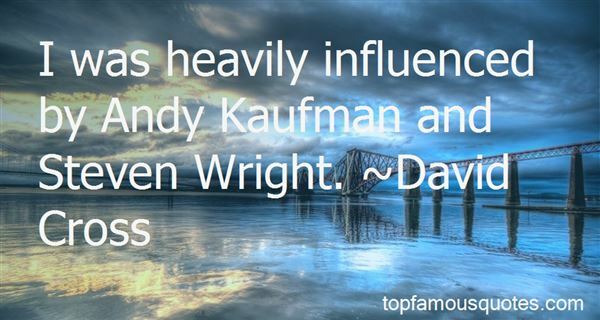 Reading and share top 3 famous quotes and sayings about Andy Kaufman by famous authors and people. 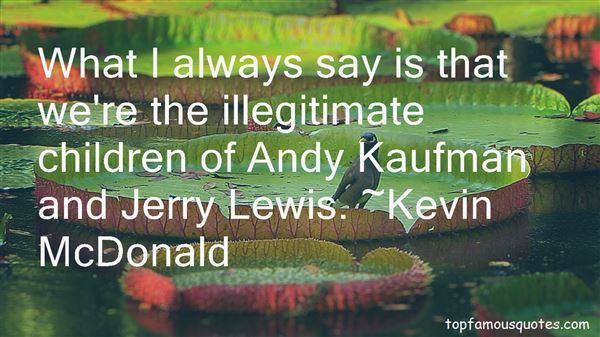 Browse top 3 famous quotes and sayings about Andy Kaufman by most favorite authors. 1. "I was heavily influenced by Andy Kaufman and Steven Wright." 2. "Of course, the whole Andy Kaufman angle was classic. I'm real proud of that. I mean that is something people are still talking about 20 years later, making movies about and that sort of thing. I mean not a day goes by that someone doesn't mention Andy Kaufman to me." 3. "What I always say is that we're the illegitimate children of Andy Kaufman and Jerry Lewis." Life is too huge for you to possibly hate."